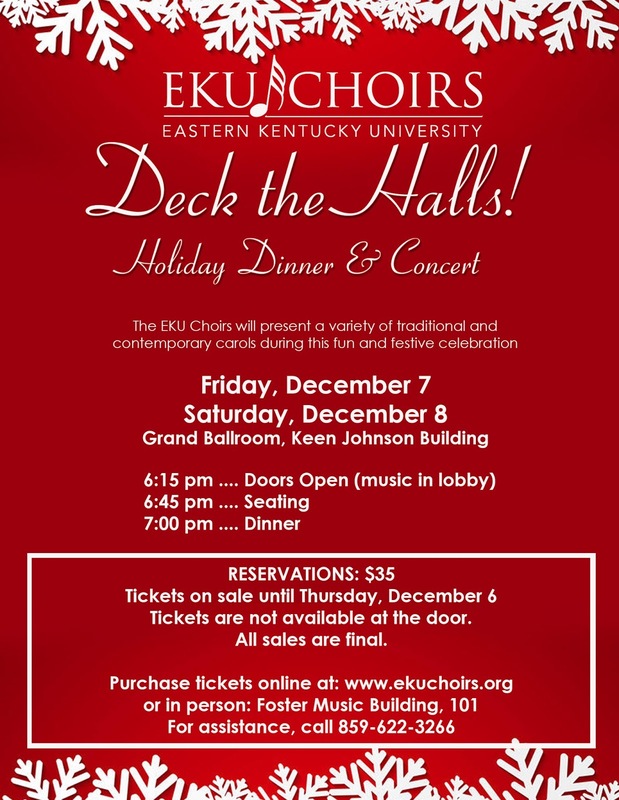 Eastern Kentucky University Choirs: Deck the Halls! 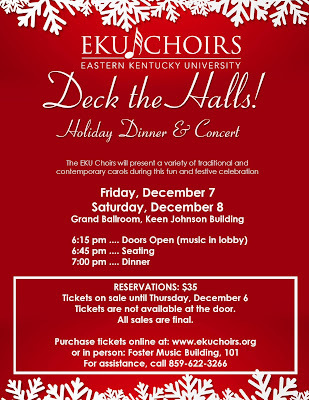 Join the EKU Choirs for an evening of holiday music and fine dining. The program will feature a variety of traditional and contemporary carols. Performances are Friday, December 7 and Saturday, December 8 in the Keen Johnson Ballroom. Doors will open at 6:15 PM each night with musical entertainment in the lobby. Seating begins at 6:45 PM; the program begins at 7:00 PM. Tickets are on sale until THURSDAY, DECEMBER 6, 4:00 PM.